For emergency medicine physicians, ambiguity is the only guarantee. No two cases are ever exactly alike. Important decisions must be made, often without critical pieces of information. Schedules change from days to midnights, midnights to days. All of this can make it difficult to stay current with the latest emergency medicine news, which can help physicians improve treatments, make better decisions and feel more connected to their profession. A study published online March 26th in the journal Drug and Alcohol Dependence revealed a new and effective way to reduce the misuse of prescription opioids, a problem that has been becoming more common in emergency departments across the country. According to the study, which was conducted by researchers at the University of Michigan, motivational interviews conducted by emergency medical physicians with patients in emergency departments resulted in reduced abuse of prescription opioids as well as behaviors that commonly lead to overdose. The study was the first randomized clinical trial to evaluate the efficacy of this type of behavioral intervention in reducing the risk of overdose. While motivational interviews have proven successful in helping patients reduce their use and abuse of tobacco, alcohol and other drugs, this is the first time it has been tested and proven successful in helping patients reduce their desire to abuse opioids. Read more about the study and what it means to you and your patients on MDLinx.com. As adolescents across the country begin preparing for another football season, a recent study conducted by researchers at the University of California San Francisco shows that they continue to be at risk of concussions. The findings of the study were published in the August 16th edition of the Orthopaedic Journal of Sports Medicine. It shows that concussion cases have been increasing dramatically over the past few years, with most of the cases involving adolescents between the ages of 10 to 19. Researchers found that 56 percent of concussions were diagnosed in emergency departments and another 29 percent diagnosed in outpatient clinics. Researchers say physicians, whether practicing emergency medicine or otherwise need to emphasize education and prevention among adolescents and their parents, guardians and coaches to help protect young people from suffering head injuries while participating in sports. Read more about the rise in concussion rates among adolescents and what it means to you on MDLinx.com. Emergency Medicine News highlights how one group of emergency medicine physicians used ECMO in the ED to help a patient in cardiac arrest. While Extracorporeal Membrane Oxygenation Extracorporeal is commonly used before and after cardiac surgery, the devices are not common in emergency departments, but perhaps they should be. As a last resort, emergency physicians at Sharp Memorial Hospital in San Diego used ECMO on a patient who had suffered a massive out-of-hospital heart attack. They partnered with the hospital’s cross-trained ECMO team and a cardiologist to set up the ECMO circuit. While the first attempt to get the machine running did not go well, a subsequent effort resulted in the patient being transferred to the ICU, regaining brain activity and pulses–and eventually being discharged from the hospital with no neurological impairments. Since the success, the emergency medicine physicians have been presenting the case and their subsequent efforts to create ED protocols for using ECMO at conferences across the country. Read more about using ECMO in the emergency department on Emergency Medicine News. Are you an emergency medicine provider who is looking for a new opportunity? 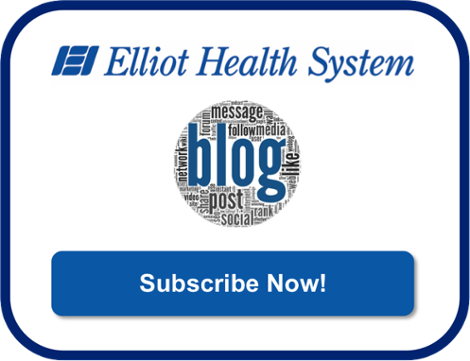 Consider Elliot Health System! Physicians are at the forefront of many types of battles on an ongoing basis, but not enough credit is given to them. Here are three uplifting and inspirational physician news stories to brighten your day. As if it weren’t enough of an accomplishment for a woman to raise herself out of poverty to become a physician in Argentina, Dr. Paula Pareto just won a gold medal for championship judoka at the 2016 Summer Olympics. When she was studying to become a physician, Dr. Pareto had to travel three hours on a bus each way from her hometown to La Plata, the location of her training. The diminutive physician worked while going to school, which delayed her graduation, but she never lost sight of her dream to become a doctor. Now, with a gold medal under her belt, there’s no telling what her next goal will be, but chances are she will make it happen. Dr. Wayne Herdy of the Australian Indigenous Doctor’s Association has always been a beloved physician, dedicating his practice to the needs of Aboriginal communities. Now, he is opening up a center in a new location, but with a different slant. He plans to make it less like a cold, sterile environment, and more like a place where the community can come and enjoy coffee and conversation along with their medical care. As he sees it, it will be a friendly refuge from the often harsh environment of the outback. Grateful surfer Ryan Boarman and his father, Dr. Boarman, tell the story of how a skilled orthopaedic surgeon saved Ryan’s arm after he was attacked by a shark in the waters off Bali. The Singaporean surgeon, Dr. Kim Yeow Wai, took over after Ryan was transported to the Singapore’s Raffles Hospital. The injury was incredibly severe. The laceration from the shark bite encompassed a 360-degree measurement around the elbow. The shark bit multiple times, tearing and pulling away eight muscles and tendons, as well as injuring a nerve and a ligament. Dr. Wai’s surgery was so effective, it’s not expected that Ryan will need anymore surgeries on the arm. These physician news stories are certainly inspirational, but there are many more untold stories that happen in ERs and clinics around the world. Start your own inspirational journey with Elliot Health System today. Even as global health care spending has risen in recent decades, studies show that quality of care has not. Evidence based medicine represents a reaction against this trend that works to raise the value for investments. In particular, the lack of consistent results for spending led to calls like that of the New York Times – for “more reliable science” as evidence. Evidence based decision making or EBDM explicitly and conscientiously considers the highest quality evidence available to improve health care choices. And assessment infrastructure for timely evaluation and feedback. When combined with a clinician’s expertise and patient input, this toolkit is essential to better infrastructure, policies, and procedures that can improve patient outcomes and quality of care. Research has shown that consumer demand for evidence based decision making has risen with growing patient awareness of its benefits. Furthermore, advances in communication and health information technology (HIT) have given decision-makers access to more timely and higher-quality information. The result is unprecedented opportunities for redesigning care, improving communication, and strengthening research infrastructure. Combining evidence and expert judgement strengthens practice guidelines. Sharing decision making brings patient values and scientific research into care plans. Integrating individual preferences into such plans in turn improves adherence. Reliance upon rigorous evidence in drug approval ensures maximum efficiency. Use of clinical evidence strengthens purchaser and employer coverage decisions. Care assessment and quality are improved by public reporting and paying for performance. In these ways, consistent, evidence based practices can lead to powerful benefits for overall safety and care quality, from cost benefits to clear improvements in patient outcomes. And conflict among decision-makers, including physicians who must re-align with contemporary best practices. These can be best addressed by physicians’ preexisting core competencies in improving care quality, protecting patient safety, and integrating best research into practice. However, leadership is also required for creating supportive environments and clear incentives to motivate practitioners to use current knowledge. Evidence based decision making is more important than ever, with over 39,000 publicly funded trials underway in the USA. However, evidence should be factored into decisions alongside individual circumstances, preferences, and resources. At base, EBDM provides a way for physicians to integrate clinical expertise and patient values into the cultivation of better, evidence-based health care. Elliot Health System believes in quality care facilitated by quality providers. Would you like to join us? We’re constantly reminded that technology simplifies our lives. While not everyone may agree with that, it’s certainly true that technological advancements/enhancements have the potential to make our lives easier, both personally and professionally. As a physician, you know this. You interact with technology constantly. Medical technology. But how much do you use other types of tech that are available to you? If you don’t use physician technology in 2016 to streamline the operations of your practice and improve your business performance, there are some things you should probably know. And when we use the term physician technology, we are actually referring to two types: Tech used by the doctor personally and that which can be utilized by staff in running the practice. In general, physician technology use of non-medical related tools is now very popular. As reported on greatcall.com, over 80% of all physicians use a smartphone and medical apps and more than 25% of physicians use mobile technology to provide patient care. Mobile health technology (referred to as M-Health) provides multiple benefits to doctors, perhaps the most important of which is enhanced communication with both patients and staff. The fact that 78% of American health care consumers are interested in M-Health solutions should be all the incentive you need to understand the value of this tool. Regular use of technology in your practice will enable you to more effectively disseminate information, administer your electronic health records (EHR) system and standardize your protocols. By becoming more efficient, you can decrease the time you spend on non-care related matters and focus instead on your mission-critical task: providing quality health care to your patients. 1. Standard of care. As this is under your direction if not complete control, you have the greatest impact on the treatment your patients receive. The second potential problem, however, can result from a variety of factors, many of which you are likely unaware. 2. Time wasted. As you might expect, there’s not much patients hate more than being on time for an appointment only to have to wait for an extended (and for them excessive!) period of time before you can see them. Or, perhaps worse yet, there was a miscommunication and the patient shows up at the wrong date/time for the appointment. A notification system that uses email and text messaging to remind patients of appointments or cancel when necessary will minimize the chance of this happening. Not only does this improve the efficiency of your operations by reducing costs, avoiding this problem will enhance the image of your practice. Appointments aren’t the only opportunity for time wasting to occur, however. Checking in, filling out forms and dealing with payment matters are all breeding grounds for unnecessary delays and patient frustration (and staff). Medical practice physician technology designed to alleviate these problems is widely available and easy to use. Utilizing tablets for checking in, providing or updating personal information, even bill payment, enables your patients to have control over each process while relieving your staff of those duties. There are, of course, other problems tech can solve. A healthy medical practice incorporates them because they increase efficiency, reduce costs, and ultimately benefit the patient. Physician technology in 2016 is a prescription for success. Physician technology is important and so is physician-to-physician communication. One tool physicians can avail themselves of is physician forums, which we happen to have a free list of below. The internet is a source of both reliable and unreliable information. Each day, new websites appear out of cyberspace, many offering healthcare tips, directives and even diagnosis. This can cause problems for patients and providers alike. Patients who take healthcare advice from anonymous online authors, physicians are often asked to address the problems that arise from self-diagnosis, self-treatment and lack of treatment. The problem could be solved if patients knew which online resources were reliable and how to use them. With that in mind, the following is a list of the top healthcare apps for patients. This simple app serves as a pharmaceutical reference for patients. It allows users to search for names of specific drugs to learn how they should be properly taken. It also provide reliable information for treating common, non-life-threatening conditions ranging from head lice to fevers. Micromedex is available for both IOS and Android systems. The Red Cross First Aid app is one of the top healthcare apps due to its usefulness in addressing everyday accidents and ailments. It provides easy-to-use instructions for dealing with everything from asthma attacks to kitchen burns to broken bones. In addition, the app offers safety tips for preparing for and dealing with natural disasters. Red Cross First Aid is available for both IOS and Android systems. The MyChart app allows patients to manage their health care from their smartphone or tablet. Users can access their medical records, send non-emergency messages to their clinics, schedule office visits and request refills for their prescriptions. MyChart is available for both IOS and Android systems. Many people panic when they see a rash or bump on their skin. First Derm allows them to confidentially connect with a professional dermatologist who will look at images of the area in question within 48 hours. If the dermatologist determines that the condition requires medical attention, the users can get directions to nearby pediatricians, dermatologists and pharmacies. First Derm is available for both IOS and Android systems. Scheduling an appointment with a nearby physician has never been easier, thanks in large part to ZocDoc. The app provides a list of physicians within users’ insurance networks as well as verified reviews from other patients. Users can see open appointment times for physicians in their areas, book appointments and complete paperwork in advance of their office visits. ZocDoc is available for both IOS and Android systems. Many Americans struggle to manage their medications. CareZone helps make the process easier by allowing users to create lists of their medications, dosages and schedules in an easy-to-use format. Users can also set daily reminders, share information with their physicians about how medications are performing and store important insurance information in one location. CareZone is available for both IOS and Android systems. Of all the healthcare websites currently being used, perhaps none is more popular than WebMD. Now the website is making its information available via the WebMD app, which has quickly become one of the top healthcare apps due to its reputation and ease of use. In addition to providing information, the app offers users the opportunity to create medication schedules and reminders, search for nearby physicians and pharmacies, and set personal healthcare goals. The WebMD app is available for both IOS and Android systems. According to a survey conducted by Makovsky/Kelton, 66 percent of Americans are willing to use a mobile healthcare app to schedule gather information, schedule appointments and make decisions about their well-being. Physicians can help ensure that patients are getting reliable information by recommending the top healthcare apps. We know that physicians need resources as well, so we’ve put together a handout just for you. It’s free and you can download it here. Under ideal conditions, physicians lead high-performing, inter-professional healthcare teams that consistently work in the best interest of patients. The teams, which often include physician assistants, recognize each member’s contributions, communicate effectively and share decision-making responsibility. Unfortunately, few inter-professional healthcare teams work under ideal conditions. Physicians are facing increasing amounts of paperwork, bureaucracy is becoming more pervasive and reimbursements are decreasing. Healthcare has changed, and everyone is feeling stress, frustration and even anger—and its manifesting itself in the form of conflict. It seems many healthcare teams are spending entirely too much time addressing physician assistant versus doctor schisms, and it’s not healthy for the physicians, the assistants or the patients. The physician assistant versus doctor battle isn’t necessarily a new phenomenon, but it does seem to have taken on a new acuity since control of the healthcare system has shifted away from physicians and into the hands of corporations. On one hand, physicians have always believed that they are best positioned and prepared to make decisions about patient care and treatment plans. After all, physicians are highly educated, trained in practical wisdom through lengthy and intense residencies and reared to believe their assessments, which are based on science. On the other hand, physician assistants, are also highly educated, spending 27 incredibly intense months honing their abilities to keep patients healthy. According to the American Academy of Physician Assistants, studies show that physician assistants who provide high-quality care deliver outcomes that are very similar to those of physician-provided care. And that might be the rub—and the reason for the physician assistant versus doctor divide. Physicians have long enjoyed unwavering respect, their decisions often going unquestioned by anyone other than other physicians (and of course their facilities’ administrators). But as physicians assistants have gained more clout and healthcare systems increasingly demand collaboration among doctors and their teams, medicine has become a team sport. Transitioning from autonomy to teamwork can be difficult, but it’s an indispensable way to deliver exceptional patient care. And the transition doesn’t have to come with a lot of conflict, especially if physicians begin to see the true value that physician assistants bring to the team. According to a study published in the Journal of the American Board of Family Medicine, more than 50 percent of family physicians work with an inter-professional team that includes nurse practitioners, certified nurse midwives and/or a physician assistant. The study also points out that as resources become more scarce and more people access healthcare services, additional expertise will be needed to ensure that patients continue to receive exceptional care and keep people healthy. Keeping people healthy is where physician assistants shine. They are trained to help patients create environments and lifestyles that promote “good health and healthy behaviors.” They can also be incredibly valuable when it comes to rounding, performing pre- and post-operative care, working on admissions and discharges and even conducting consults. At the end of the day, these are all activities that can take some of the stress and burden off of physicians, freeing them up to focus on doing what they do best—lead inter-professional teams that deliver the highest levels of patient care. Did you enjoy this piece? Would you like to read more articles like it? If so, please subscribe to our blog. Regardless of size, running a physician practice is not a simple procedure. It includes providing medical care and treatment, attending to staffing, handling the accounting, and dealing with equipment vendors/medication suppliers,to name but a few responsibilities. And then, if you are so inclined, there’s something for which no amount of schooling could have prepared you: the use of social media. In today’s business world, it is rare for an enterprise to survive without a vibrant online presence. The effective use of social networking sites, also referred to as social media, can facilitate the exchange of communication with your patients as well as increase the visibility of your practice to others. Physician, know thyself. Before you determine which of the best social media tips to employ, there is one critical issue you must address: Is there someone in your practice to whom the responsibility of managing your social networking sites (SNS) will fall? Is it you? If not, who? And, regardless of who that person might be, you’ll need to determine whether he or she has both the time and the ability to competently manage your SNS. A social media campaign without adequate resources to run it is doomed to fail. If your practice can’t realistically manage one or more SNS, all the best social media tips in the world will be of no benefit to you. 1. Determine which SNS you want to use. To do so, you must decide what you want your SNS usage to accomplish. For example, the American Academy of Family Physicians recently reported that more than 70 percent of primary care doctors and oncologists avail themselves at least once a month of social media to research or disseminate health information. Some physicians use SNS to share their opinions on healthcare issues, share general information (such as reminders for shingles vaccinations) or to educate their communities in general and patients in particular. Available social networking sites include Twitter, Facebook (for business), LinkedIn, YouTube, and others. Check to see what other physicians in your discipline and locale are using to help you decide what’s best for you. 2. Generalists are not specialists; specialists aren’t generalists. Share information or opinions about only those things with which you are familiar. Trying to be all things to all people is a sure way to get yourself in trouble if you stray too far afield. The best social media tips, regardless of industry, usually include this recommendation: Once you have a social media campaign, pay constant attention to it. Ensure that your content is correct and that you update it often. No matter how good your online presence looks, stale content is not going to go well on any SNS. Whether your audience consists of your patients or doctors engaged in the same area of practice as you, neither group will have any reason to follow you on social media if you give them no reason to keep coming back. 4. Be diligent about protecting your online reputation. Conduct regular Internet searches of your name and that of your practice. Review any and all comments posted to your SNS and check consumer rating sites such as Yelp. It is difficult, if not impossible, to reassert control over your own narrative once you’ve lost it. Remember that what happens on the Internet stays on the Internet. Ensure that your message is consistently expressed on your website and across all SNS you utilize. This prevents you from sending mixed messages or, worse yet, conflicting ones. In addition to using social media regularly for business, consider interacting in physician forums to learn and boost your personal brand. more than half years later. However, physician training does not always keep up, especially when it comes to the transformations resulting from the computerization of patient data. Sanders et. al pointed out the move from data collection to sharing and, most recently, analytics – or the recognition and communication is about finding meaningful patterns. In this recent phase of computerization, physicians, hospitals, and institutions use its massive data sets to improve care coordination, education, and quality. Changes in physician training are especially important to supporting the latest innovations and fully connecting every aspect of health care systems. The main problem with the rising ocean of big data is that, by definition, its volume and diversity resists available software and hardware. Reports show that data in the American healthcare system has already reached 150 exabytes and will soon move to the zetabyte of 10 to the 21st power gigabytes. Analytics are key to finding meaning within these fast-growing stores of information, but some very real problems exist. Doctors are not fully trained in analytics. The amount of data and time to analyze it strains experts. Traditional training focuses on individuals vs. populations. As Guyatt et al show, the education system is decentralized with no standard definition of concepts like evidence or evidence-based practice. To address these issues, medical training must emphasize and centralize training to focus on populations. Otherwise, clinicians risk missing the opportunity to rise above the sea of big data – and improve care, reduce costs, and save lives in the process. Education leaders should be aware of and adapt curricula to the labor market. However, as pointed out in Population Health: Creating a Culture of Wellness, the system’s flaws perpetuate the industry’s failures. New programs like the University of Wisconsin School of Medicine and Public Health’s preventive medicine residency have students learn about every sector of the industry. As a result, they are not only better prepared to serve populations rather than individuals, but they can also easily coordinate a team of care providers. As Marc Triola of NYU’s School of Medicine points out, physician training in data literacy is essential because they must be able to use data to improve care while continuously learning about new trends. Educating clinicians in these fields will thus ensure that they are prepared to provide care no matter the changes to come. Training should be targeted to provide relevant experiences in medical school, residency, and beyond. However, defining these competencies would be most important in oversight and accreditation, where leverage could be gained in pressuring educational institutions and national professional organizations. Fundamentally, competency-based education can help clinicians adapt to ever-changing care systems. Challenges likely include limited resources, data access, and collaboration between universities and hospitals. However, shifting to a new model will be essential to educating the medical professionals of the future in synthesizing ever-more reliable data, including resources like monitoring via mobile apps. Bringing together the various sectors of healthcare in this way will likely start by establishing a common language of key terms – with data analytics near the top of the list. Did you enjoy this article? Would you like to subscribe to read more like it?